Just in Time for Summer.... 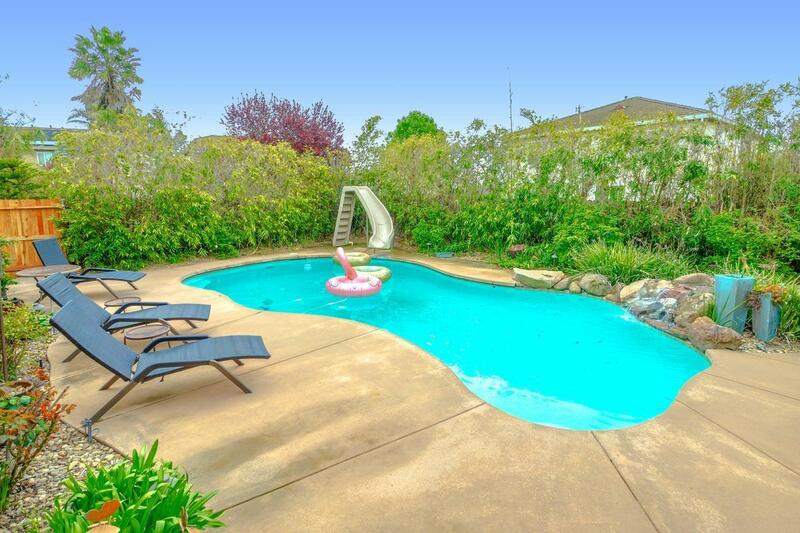 Your Very Own Private Backyard Oasis! This exquisite home is move in ready with a backyard built for entertaining! Serenely landscaped for privacy, low water use and low maintenance. The sparkling built-in pool has solar heating for a longer swim season and indoor/ outdoor surround sound means music to your ears everywhere! Inside you will find upgraded cabinets through out and Corian countertops. Oversized custom window provides a cohesiveness to the backyard and lots of natural light. Garage door & water heater are newer and cabinets in the garage to convey with the home. Walking distance to shopping, schools and parks and just 7 miles to Davis. This home is sure to impress!